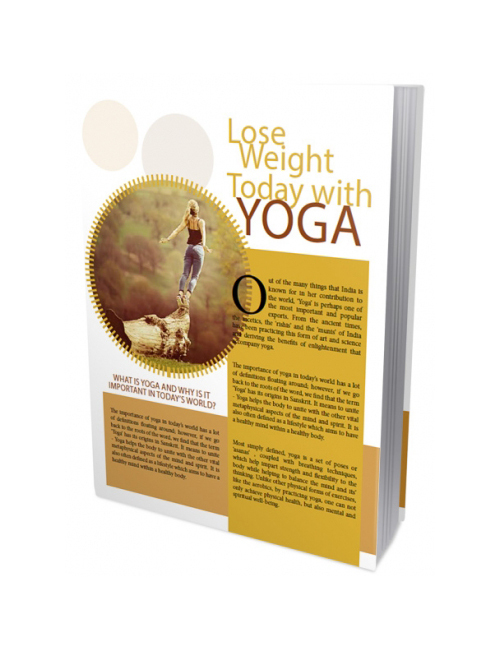 Lose Weight Today With Yoga is one excellent guide that’s going to help you get your body and mind into pronto stellar shape fast with a smile. You see what many people don’t understand is that getting healthy and losing weight doesn’t have to be tough. It can be fun and exciting and you can do it fast if you’ve got the quality information in your brain to do it. Yoga is an ancient form of exercise which enables you to hit a whole other level of self including reaching the pinnacle of a strong clear mind and a physically flexible and healthy body. How does that sound to you in the now? You better say fantabulous or else! Lose Weight Today With Yoga is your direct route to losing weight and getting healthy gracefully and with reasonable expectations. Grab it today and get yourself started.